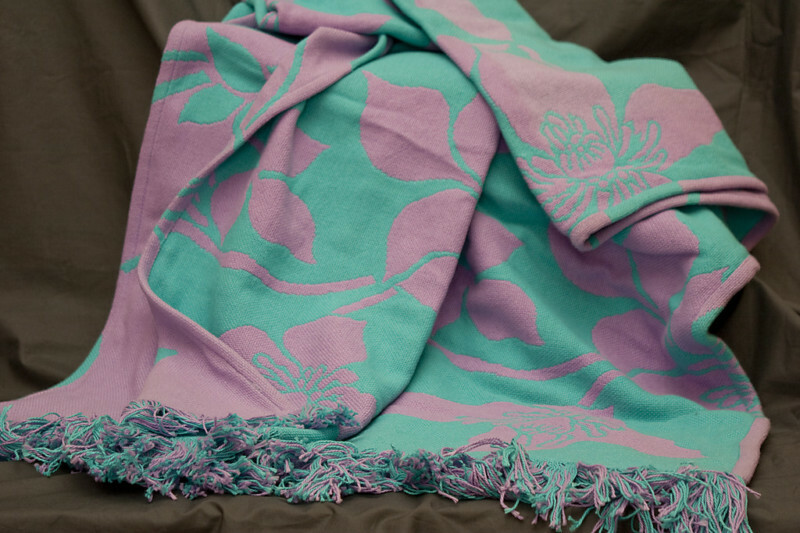 Pinky-lilac and aqua reversible jacquard cotton throw with a modern floral. 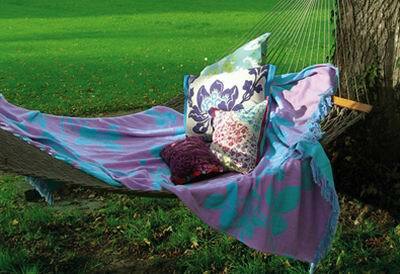 This throw is a lovely heavy weight, finished top and bottom with a fringe. Woven in Pakistan. Now £64.00 Qty: 1 In-stock.